Kings Bay is a luxury manned and gated community in Coral Gables Florida. 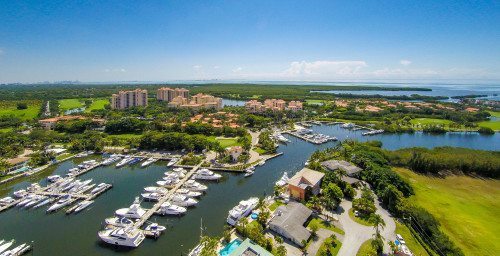 Some of the luxury private homes in Kings Bay are located on the private marina which has Biscayne Bay access. Kings Bay is adjacent to Deering Bay. Deering Bay Home prices range from $700,000 to over $2,000,000 for waterfront homes. Call Trisha Fuerst for information about Kings Bay homes for sale or search available home for sale below. Trisha can help you to sell your Coral Gables Homeor Kings Bay home for top dollar. Kings Bay Homes for Sale. Looking to Buy or Sell a home in King's Bay in Coral Gables, Florida? King's Bay is a manned and gated neighborhood in Coral Gables, Florida with waterfront and non waterfront homes on larger 1/2 acre lots. Home prices range from $900,000 to over $2 million. If you're interested in buyer or selling in King's Bay, FL, Call your Real Estate Expert, Trisha Fuerst at 786-208-9048.